Summit between Trump and North Korean leader will take place at the Capella Hotel on Singapore's Sentosa Island. The venue for next week’s meeting between U.S. President Donald Trump and North Korean leader Kim Jong Un has been set. White House spokeswoman Sarah Huckabee Sanders said on Twitter on Tuesday that the summit will take place at the Capella Hotel on Singapore's Sentosa Island. "We thank our great Singaporean hosts for their hospitality," Huckabee Sanders wrote. Trump told reporters at an Oval Office event that plans for the meeting were "moving along very well." "A lot of relationships being built, a lot of negotiations going on before the trip," he said. "We’ll see what happens. But it's very important - it'll be a very important couple of days." Trump had said on Friday that his meeting with the North Korean leader will take place as scheduled after previously calling off the summit while citing Pyongyang’s “open hostility” towards the U.S. in recent statements. 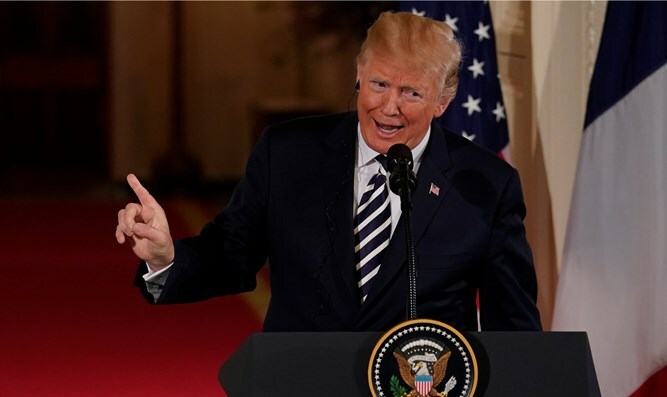 The President later said, however, that the summit could go ahead as planned following a more appeasing statement from Pyongyang and productive talks with North Korean officials. The on-again-off-again summit is expected to focus on American efforts to get North Korea to abandon its nuclear program.